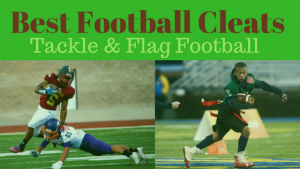 Find the best youth flag football leagues for kids, including pickup games and tournaments, in the state of Vermont. 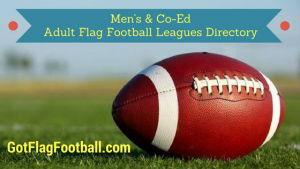 Below, parents will find the most up-to-date for 2019 list of fall, winter, spring and summer, indoor and outdoor local flag football leagues for boys and girls, as well as pickup games and organizations that offer tournaments, in order from the highest to least populated cities and towns in VT.
GotFlagFootball.com brings together the local youth flag football Vermont community of city recreational leagues, organized independent leagues and tournaments in on alphabetically ordered list, so that it’s convenient to find a game for your child, in an area near you. There are two leagues offered during the Fall by Rutland Recreation and Parks – one for boys and girls in grades 5 and 6, and one for girls and boys in grades 3 and 4. Games are outdoors, and are played on Sunday afternoons and Tuesday evenings for both age groups. This is a season offered in the Fall, and runs for 7 games. It commences at the start of September, though practice sessions start three weeks earlier. This is a co-educational league for children in grade 3 through to grade 12, split into 3 age divisions. Games consist of four 15 minute quarters. Games are played on Sunday afternoons at an outdoor venue. At the end of the season, there is a playoff series before the two top teams play in a Super Bowl. This is for children in grades 2-4. Games are played outdoors, and a season consists of 8 matches. These games are played on either Thursday evening at 5:30pm, or on Saturday. The season runs in the Fall. There is a strong emphasis on providing the foundation for players to advance to the higher, tackle leagues.